Roof lanterns are a great choice if you have a flat roof. Not only are they better at channelling light from all angles than their flat counterparts, but they can also create a stunning architectural showpiece in your home. The Roof Maker Slimline® roof lantern is designed to allow more natural light into your home. With a super slim aluminium frame, it provides an almost uninterrupted view of the outside world. 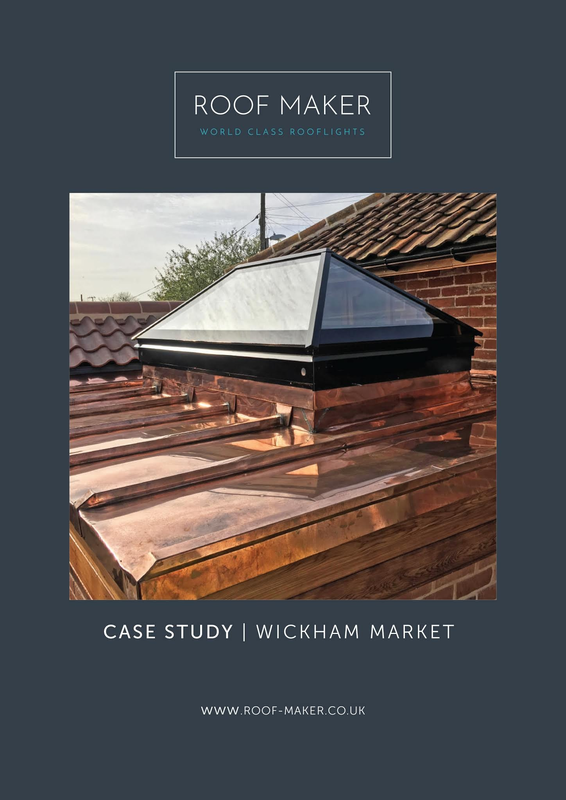 Because we manufacture to fit the internal dimensions of your rooflight space, our lanterns allow 25% more light in your home than other similar products and it is the only ultra slim roof lantern on the market that can incorporate an opening vent. 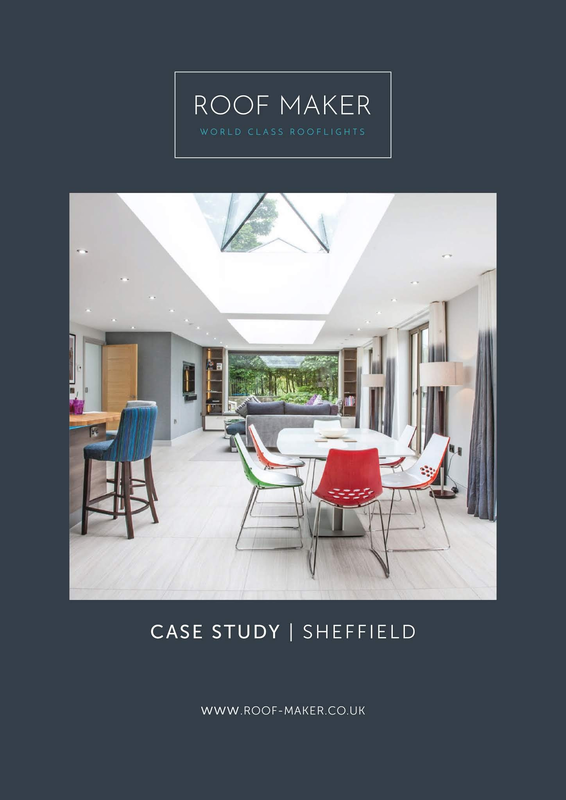 Choosing the right rooflight for your particular project needs time and research. 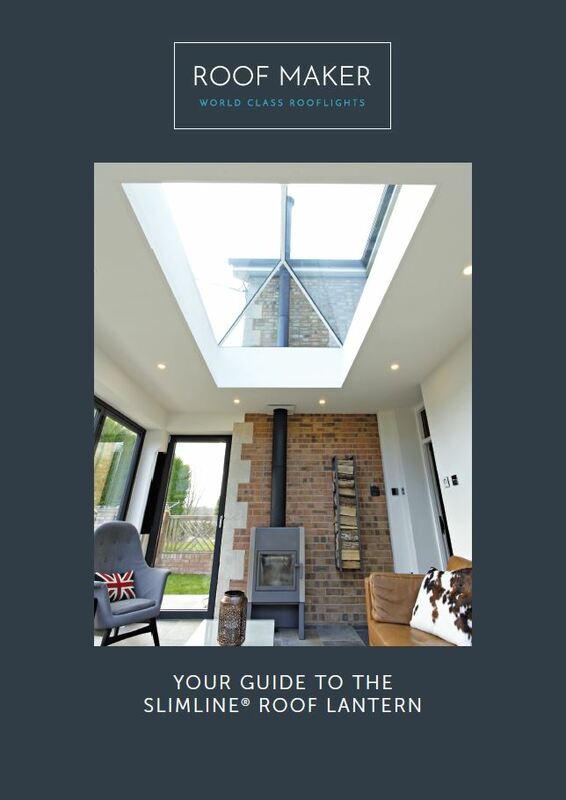 To help we have put together this short guide on our Slimline® Roof Lantern so that you have all the details you need. 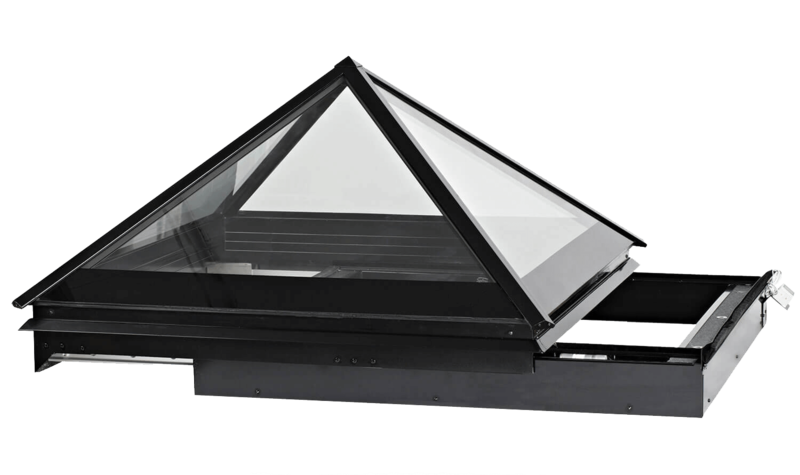 Our Slimline® roof lantern, is the only ultra slim system available that can incorporate an opening vent, operated manually or electrically. The electrically operated version is available with climate control and a rain sensor so you can just set your desired temperature and your vent will do the rest. Satinova Privacy Glass – creates a natural filtered light. It is not possible to see through this glass from either side. All our Slimline® roof lanterns are supplied with an easy clean glass coating. 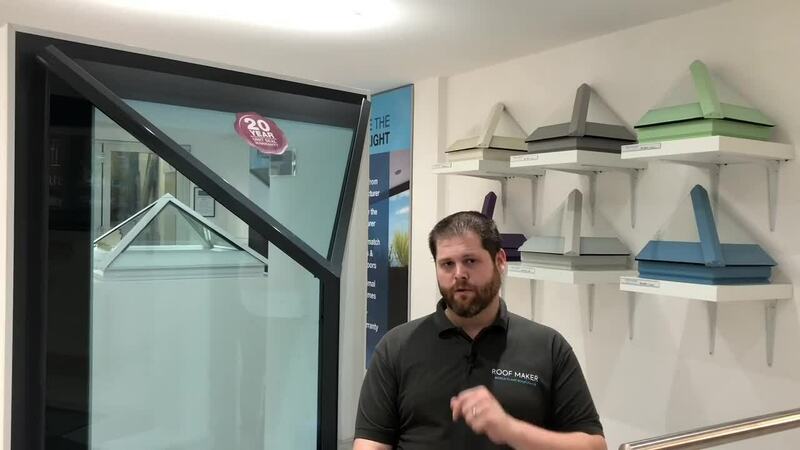 This special feature helps to keep your rooflights looking their best for longer by utilising the sun’s rays to help break down small organic, carbon based dirt on the rooflight into small particles. During rain fall, the coating enables the water to spread out like a large sheet rather than droplets so as it runs down the surface of the glass it acts like a squeegee taking the dirt with it and leaving you with a sparkling, streak and smear-free rooflight. 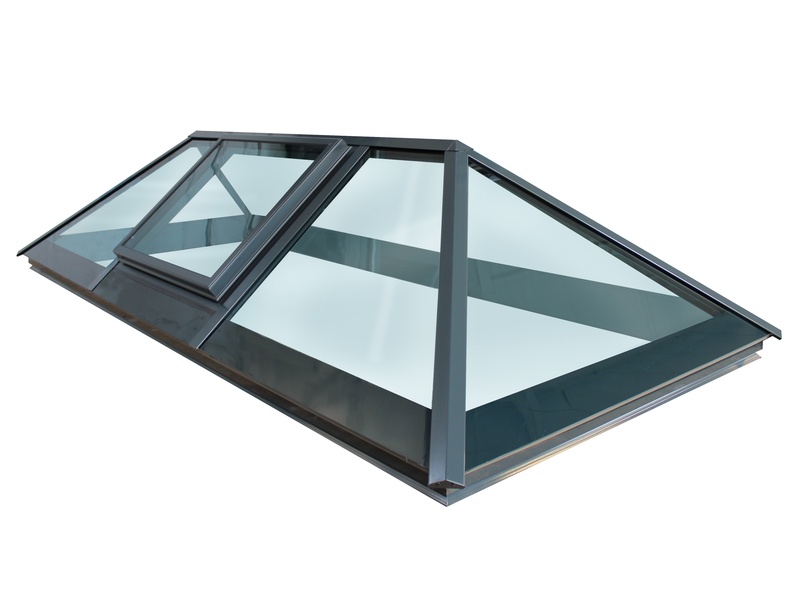 We offer three standard frame colours for the Slimline® roof lantern - jet black, anthracite grey and white. To bespoke your lantern we offer the option to have the internal frame a different colour to the exterior, or, choose from the wide range of specialist RAL colours to truly personalise your living space. Black out blinds allow you greater control over the light coming into your room. Powered by the supplied mains adaptor with simple and fast installation. Available in black or white pleated material with co-ordinating motors and internal trims. Blinds are available in sizes up to 3000x2000mm and the electrics come with a 12 month guarantee. Buying direct from Roof Maker entitles you to our manufacturer’s warranty. All Roof Maker double and triple glazed units carry a 20-year unit seal warranty from the date of invoice. 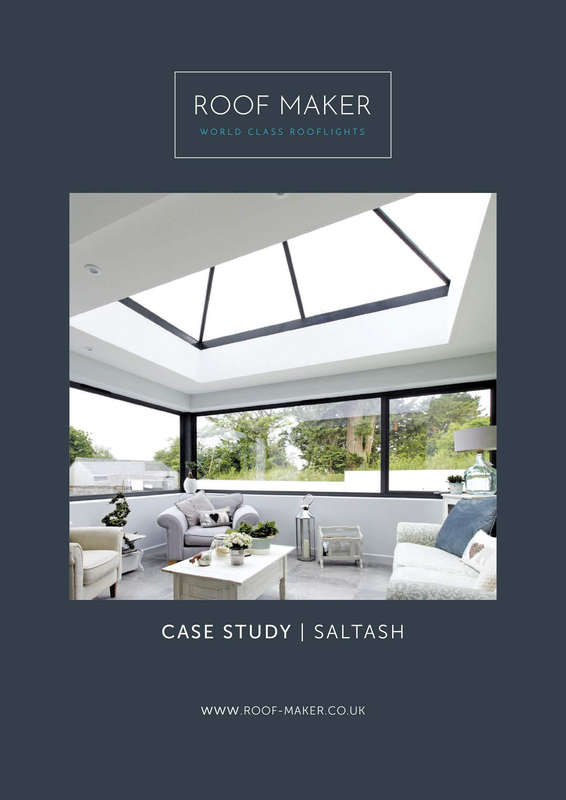 Our roof lantern glazing systems are covered by a 10-year guarantee against discolouration, cracking and shape deterioration.